I’m a sucker for pictures. They communicate ideas quite succinctly. 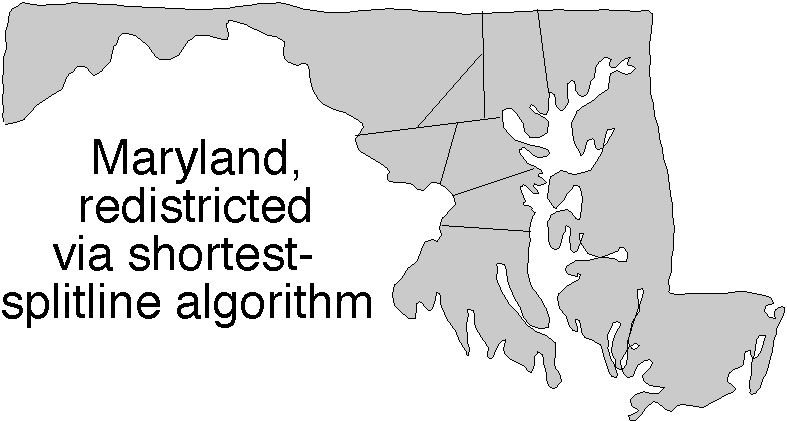 Here I show some examples of congressional districts as they are drawn currently and as the shortest split-line algorithm would draw them. If the images are cropped please click through on them or use your browsers features to view the full image. Hopefully the folks who developed the split-line algorithm will provide this. 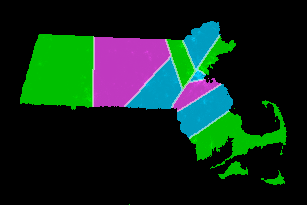 This entry was posted in gerrymandering, multiwinner. Bookmark the permalink. I hope this project will also allow the projection of changes in the number of districts when an apportionment is increased or decreased. The algorithm certainly allows for redistricting to occur based on an arbitrary number of districts. Good. Make the incumbents work. No one should have a lock on an election unless they truely have done something to earn the vote. b) hell, no, shortest-split-line is not the best method. Look what it does to (I think) Colorado. Otherwise, look how it splits cities in the US without just cause. It looks neat, but it’s the equivalent of taking a sledgehammer to crack a walnut. Look instead at the UK model. 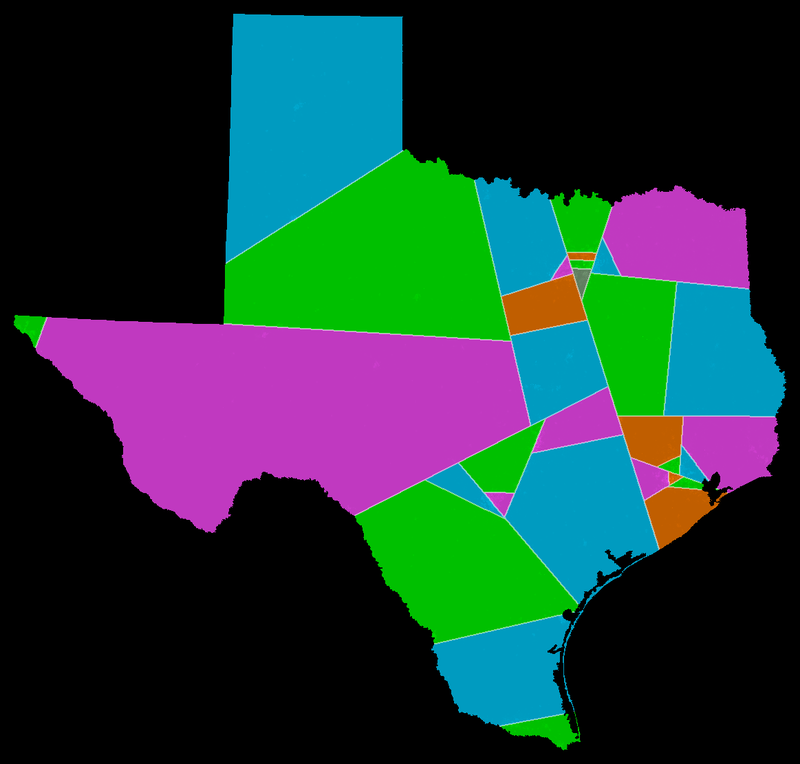 They have a non-partisan redistricting commission which divides the counties according to various rules. Happily, there is no distinction between the rules, and the commission are allowed to overrule rule (a) in favour of (b), or in another case overrule (b) in favour of (a), or any other permutation, so long as the result isn’t a gerrymander. And like all these things, it’s like an elephant, it can’t be written into law: you know a gerrymander when you see one, but you can’t describe one accurately into a volume of law. The split-line algorithm isn’t the answer. 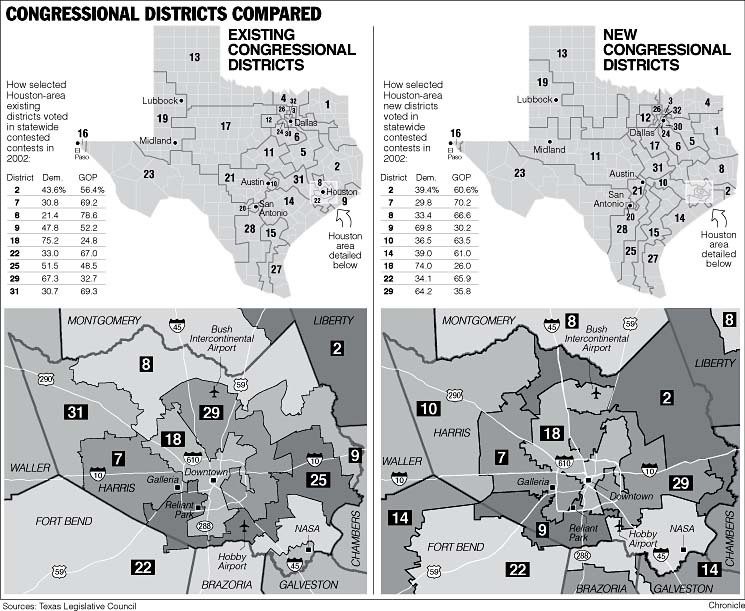 But a fair independent redistricting commission, with no prospect of legislative override, is.